“I can tell you that we’re frankly fed up with being portrayed as an area that has no regard for the sustainability of our environment that we live in and have lived in and intend to live for generations and generations.” – Kapuskasing Mayor Al Spacek (see: “Email accused Wynne's office of trying to 'assist Greenpeace',” Trish Audette-Longo, National Observer, September 20, 2017). Kapuskasing Mayor Al Spacek ought to be concerned. After all, he and a number of Northern Mayors, have been actively trying to undermine the Ontario governments milquetoast protections for species at risk in the northern boreal forest, including Canada’s iconic woodland caribou (see: “The Future of Species at Risk Policy is a Question of Credibility say northern leaders, industry,” Kapuskasing Times, September 19, 2017, and “Ontario and Quebec communities banding together to counter Greenpeace's messaging,” Timmins Press, August 11, 2015). And it’s happening at a time when industry experts are raising the alarm about the long-term sustainability of forestry in the north (see: “Climate Change Impacts and Adaptation in Ontario’s Forestry Sector,” The Ontario Centre for Climate Impacts and Adaptation Resources, 2017, and “Don’t discount environmental groups,” Julee Boan and Faisal Moola, the Chronicle Journal. Reposted to Ontario Nature. May 9, 2015). In 2008, Ontario adopted the Endangered Species Act (ESA) to protect threatened and endangered plants and animals, along with their habitats. But in 2013, the Ministry of Natural Resources and Forestry (MNRF) watered down protections by introducing a permitting process that authorized the harm and destruction of habitat. At that time, the Environmental Commissioner of Ontario (ECO) warned that weakening the ESA would lead to negative outcomes for species at risk (see: “Laying Siege to the Last Line of Defence: A Review of Ontario’s Weakened Protections for Species at Risk – A Special Report to the Legislative Assembly of Ontario,” Environmental Commissioner of Ontario, November 2013). It gets worse. Earlier in October, Ontario missed a key federal government deadline to develop a protection plan for woodland caribou. 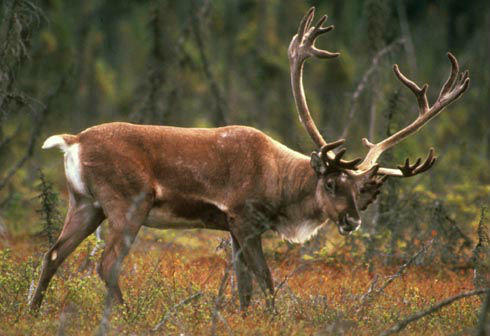 The feds gave Ontario and other provinces 5 years to come up with habitat protection plans for this threatened species that ranges widely across the boreal forest (see:“Caribou protection plan lacking,” Carl Cluchey, Chronicle-Journal. Reposted to Ontario Nature. October 7, 2017). Ontario’s Liberal government has long been lobbied by northern municipal politicians and forestry industry companies, like the Quebec-based Resolute Forest Products, to water-down protection for caribou. Resolute, which has in the past made substantial contributions to the Liberal Party of Ontario, sometimes within days of lobbying the Premier’s staff (see:“Wynne Waters Down own Bill, Benefiting own Libel Suit,” Sean Craig, Canadaland, March 24, 2015), has been engaged in legal actions against Greenpeace in Ontario and the United States over Greenpeace’s campaign to promote sustainable forest harvesting (see: “Resolute Forest Products Can Save Forests and Jobs and Respect Indigenous Rights,” Greenpeace Canada. Undated). Greenpeace launched a campaign to incent Resolute to be a more sustainable actor after the Forest Stewardship Council – a global not-for-profit that sets standards for responsible forest management – took the unprecedented action of revoking certificates for more than 8 million hectares of Resolute’s forestry operations (see: “Resolute: A Major Step Away from Sustainable Forestry,” Anthony Swift, NRDC, Febuary 21, 2017). Greenpeace has viewed these lawsuits as an attempt to undermine its ability to engage in free speech (see: “Resolute’s $7 million lawsuit aims to silence criticism of its forest destruction,” Greenpeace Canada, September 17, 2013). Earlier this month, Resolute’s U.S. action against Greenpeace was dismissed by a California court (see: “Resolute Forest Products lawsuit against Greenpeace dismissed in court,” CBC News, October 17, 2017). Some northern Mayors have publicly questioned the science behind the threatened status of Ontario’s woodland caribou (see: “Northern mayors push back against Greenpeace”, the Kapuskasing Times, June 3, 2015) and have referred to organizations like Greenpeace and those who champion caribou protection as extremists and terrorists (see: “Joining forces against 'eco-terrorism',” Ron Grech, Timmins Daily Press. June 10, 2015). Cochrane Mayor Peter Politis bizarrely went so far as to suggest that caribou-defenders are intent on “wiping out an entire race of people to force [their] beliefs” (see: “Bill C-51 Chill in Northern Ontario Air? Mayors Accuse Greenpeace of Terrorism, Genocide,” Sudbury Steve May, June 4, 2015). While the government dithers to appease bad actors, Ontario’s forestry sector continues to slump. Rather than engaging in the kind of fundamental change needed by the industry to respond to climate change (see: “A New Northern Lens - Looking out is as important as looking in,” Northern Policy Institute, April 2015), it seems that many are content to continue to champion a mid-20th Century management strategy that puts profit ahead of sustainability and the health of species at risk. With these political games being played, it’s no wonder that Northerners have such a bad reputation when it comes to environmental stewardship. An edited version of this post originally appeared in the Sudbury Star, as "May: Political games bad for N. Ontario's reputation," online and in print, October 28, 2017 - without hyperlinks. .. thank you - merci beaucoup ..
That's an exceptional article/posting.. and very very concerning..
and here in Ontario, the situation appears equally grave..
that combines all of the above..
and all the related 'infrastructure..